Whenever someone asks me what my advice is for anyone thinking about starting their own business, my answer is always: don't quit your day job. It's tempting - especially if you dislike your current job - to hand in your notice so you can work on your ambitions full time. Because it makes sense that not having a day job means more free hours to turn your passion into a business, right? That assumption could be one of the biggest mistakes you ever make and prevent your business from being a success. Day jobs force you into scheduling and making time for your creativity, it puts the pressure on to make use of your spare time because it is finite and dictated to you. This teaches you how to keep to a routine and maintain a healthy creative cycle. Without a job you will get into debt trying to afford the materials and kit (laptop, camera, website, tools, etc.) you will need to make your business work. You limit the financial risks by having a steady, reliable income every month and a day job provides you with time to prepare yourself for self-employment, both mentally and financially. It also affords you a chance to test the market and know, for sure, your product or service will sell, to improve those products or services, and to establish a customer base who want to buy them. Although you might feel your day job distracts you from your passion, that distraction only serves to fuel the desire to create more and to eventually break free of the daily grind. Having a job also teaches you how businesses work; how to - or more importantly, how not to - do things from managerial styles to customer service, and employee interactions. It takes time to get to the point where you can get paid for doing what you love. Until that moment arrives you need a steady cash flow. Unfortunately that most likely means working long days (and nights) trying to balance doing what you hate (your day job) with something you love (your passion). Finding a day job that will pay you a decent enough wage to live on and just enough spare time to do the thing you love the most without making you dread the 9-to-5 routine is the key. This is really thought provoking and definitely more realistic than what I usually tend to read about this topic. Very interesting! This is fantastic! I think that people get this sugarcoated version of what running your own business entails. It is definitely a lot harder than people make it out to be. I agree... I love stories of people who leave their Jobs and start a very successful career as a freelance but... it's scary and not really practical for the most of us! I had to work in Starbucks for quite a while before I was in a position to leave and make my passion my full time career. It made me appreciate it all the more when I was in the position to do so though! I know without it I would never have been able to make my dream a reality. Awesome post! Another great post. I know all too well the cost of a good kit, it can be quite staggering so having a steady stream of income is very important. One day I'll get there. I love to read an honest and straight forward opinion about starting a small business. An ocean of sites encourage others to go for their dreams whatever it takes, which I find so irresponsible. Those bills won't stop coming, will they? Great post! I love how absolutely realistic you are. Unless you have a very strong foothold in your own business and can see the trend continuing on for years, I wouldn't suggest giving up your security either. Fab post! I am often feeling like doing this but like you said..you need that steady, stable job until you can afford to do what you love for a living! I love how realistic you are, Sophie. I've mentioned before how damaging I find those "just follow your dreams and everything will be fine" quotes and encouragements. It's nice to see there's still people with their feet on the ground. I feel like having a day job also forces you to work harder on your own business because it gives you a reason to keep pushing forward. I just graduated college and am working a 9 to 5 doing social media for a company and although I love what I do, it's still not my ideal. I want to work for myself. But realistically, I can't do that until I'm making my salary and then some. It pushes me to work even harder on my own blog and business ideas because I can't wait to get out of the office and start working for me. This is the second self employment advise blog I've read today and everyone basically says the same thing. It isn't a walk in the park to have your own business, its not something to take on lightly. I think there is an awful lot of advice out there that says "follow your dreams" and encourages people to chase after creative pursuits without discussing the process more in depth. Obviously I encourage everyone to be creative and strive to turn their creativity into full time self employment if that's what they want BUT I also think it would be irresponsible of me - as someone who has quit her job - to simply say "chase your dreams/achieve your goals/pursue a creative lifestyle" without discussing what that really means. A traditional 9-to-5 job is no more or less stable than creative jobs, you can lose your job and financial security no matter what industry you go into. But quitting a job with a secure income without knowing whether your business can survive or is financially viable is a stupid mistake to make. Sometimes that risk pays off, I know people who have done just that and their business is doing fine.. but I don't think that is a sensible risk to take because a lot of people fail without the financial support of a full time job. I definitely feel the same way. When I was working a day job alongside starting my business, I resented the day job but it pushed me to work hard and achieve my goals. I don't think I would be in the same place I am right now if I had quit before the business was ready and financial stable. I completely agree with you; I really dislike the "follow your dreams" posts and quotes. Running your own business isn't something to consider lightly and I think a lot of people, especially bloggers, have a very candy-coated version of what self-employment really means. Just because they don't have a job but have a blog that makes a bit of money doesn't mean they are running a business. This is a really serious topic and I think it's irresponsible to not discuss these issues in a serious way. It would be irresponsible of me to say "I quit my job - you can too!" without telling people what I really think - that they should keep their job until they have enough money. I know the feeling, I have been there. I have worked in a day job I hated while trying to start a business and at times I really just wanted to quit.. but if I had, I would have been stressed and that would have put a strain on the business. Having a stable income meant I could save for self-employment without worrying about money. Absolutely. I do think it's an achievable goal, it's not as hard - to become self-employed - as it seems or as a lot of people make it out to be. But it's also not a decision to take lightly either. I understand your feelings - I used to work in a job I hated and I really wanted to quit to work on the business full time. If I had, I know that it never would have grown the way it did because I would have been stressed about money and the finances to grow and nurture the business would have been very small. Not having the money to invest in your business is a huge handicap; having a day job is a sensible decision. I really hate the term "dreams" for goals and aspirations. Dreams are imaginary, unlikely to ever happen - goals are solid and achievable. I really dislike the idea of "chasing dreams." I much prefer to take a more sensible approach and while I really want to encourage people to achieve their creative goals, I also am aware that it would be irresponsible to suggest it's an easy process. Absolutely. I invested a lot of money from my day job into my business and I saved a lot of it too. I saved a lot of money before I quit because I wanted to make sure I had resources for when I wanted to invest in growing the business. I quit when I knew the business was financially viable and I knew I could afford to live comfortably if business started dropping off. Thankfully everything worked out but not everyone has the same experience. I would hate to have suggested to someone to achieve their goals and quit their job only to find them struggle to survive. I worked in some jobs I hated just to save money and to able to invest in my fledgling business. Without that income the business wouldn't be where it is today, it might still be going but it certainly wouldn't be in the same position as it is today. It can be tough, working in a job we hate, but sometimes we have to do these things. I wouldn't say it isn't practical - I think it's completely possible for a lot of people. It's a lot easier to do than people are told it is.. BUT that doesn't mean it's easy. Just like it's hard to work up in a career, it just as hard to set up a financially viable business. It's all about taking measured risks and quitting a job with a stable income without having readily available savings is a dumb thing to do. Absolutely - sugar coated is the right term. A lot of advice online paints it to be a dreamy lifestyle where we can be our own bosses.. I love my job and my business but I am also very aware of how hard I worked to get here and how hard I have to work to keep the business growing. I think it's important independent businesses share that side of the story. I totally agree! I started my photography business straight out of college because I wanted to commit to it full time. Yet, what I didn't realize at the time is that it takes time to get your business off the ground. All the while, you need to pay for the bills as well as other business expenses, and things just start to add up! I ended up taking on various babysitting jobs but am hoping to get a full time job soon so I CAN do photography more. How ironic is that? Haha. I appreciate your honesty. I know that I have to develop a lot before I am able to live off freelancing and possibly blogging so for now I'll keep my job and keep going. This is when that dose of reality injects itself into the dream world of running your own business. It's like that image of the iceberg – the tip above water signifies the success, and all that's under the water (the bulk) represents the work it took to get there. A successful business is not built overnight, and you never know what experiences and connection you can make through a full-time job if you're open to them. Great advice!! I wish that this wasn't the answer ! But realistically when you don't have any money or resources then there is no other way of doing it really! I think as long as you have passion and determination you can get there one day even if it takes months or more likely years if it is something you really want then you will get there one day ! Great advice though and I am excited for your ebook! It's the sensible thing to do and there is nothing shameful in it. Working a day job has the benefits of financial security and, if you find the right one, enough time to work on your passion in the evenings. That's what I did; it was tough and a lot of hard work, but it meant I could save a lot of money that I then invested into my business. Without an income, businesses can easily find themselves in a lot of debt. It's really important not to make drastic decisions when starting a business and quitting a job to work on a passion that isn't guaranteed to make money is a VERY drastic decision. Even when I quit I was nervous about what that would mean for my business and I knew it was financially viable.. so when someone suggests they might quit their day job to pursue a business that has yet to turn over any profit, it makes me nervous. I think this is a topic more people should discuss. Sometimes it works, sometimes it doesn't.. more often it doesn't. Businesses need money to help them flourish and having a day job provides that income to keep things stable. There is absolutely no shame in what you did though, because you were willing to make the money wherever you can and that's admirable. There are a lot of people who become very stubborn and refuse to go back to working for someone else simply because they want their business to succeed even though it's showing signs of struggling. Posted this on my Facebook. Because this is really good! :)) - It takes time to get to the point where you can get paid for doing what you love. Thank you for this honest and down to earth post. It really cheers me up and reassures me. I woke up this morning really confused because I didn't know what to do. I was torn between quit my day job/find a new one and be self-employed. Your article gave me a new perspective and the answer I needed. I will achieve my goals, build my career and I know that my current situation will enable me to achieve it faster than I think :). 100% agree - I still have a part time admin job that means my rent and bills are covered, as well as enabling me to spend a little money on my business and having a life. It also gets me out of bed early everyday which keeps my day structured and gives me routine - otherwise my schedule would be so erratic! Really great advice. I'm always torn between dreaming and the harsh reality. Money isn't everything, but it really helps pay the bills! I agree that working helps give us structure to our days. Every creative outlet needs a mundane act (e.g. 9-5) to balance it out. It helps discipline our mind. I had to leap. Immediately. As my self employment was full time from day one. Our business, I say confidently, grew as we have our passion to learning and serving our customers. From your business perspective this makes sense though, I especially like your point on how if forces you to work towards your goal and get away from the 9-5! I want to write my story down now on getting to self employment - you've inspired me all along! Not in an advice way... Just on a story type way for my own keep sake! Maybe my January blogging goal? It's definitely different when it comes to non-creative, bricks-and-mortar businesses. A friend of mine set up a bakery and obviously that's impossible to run without quitting a day job. 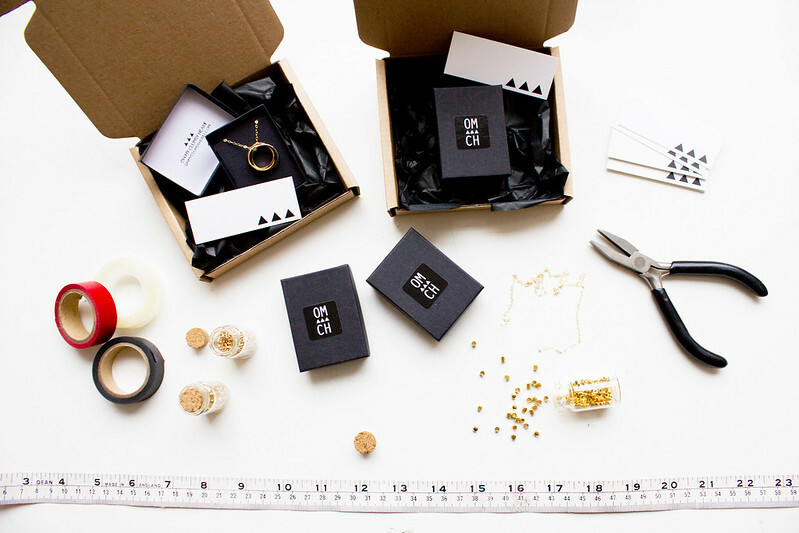 When it comes to creative small businesses - like illustrators, photographers, and designer-makers - it's sensible to keep a day job while setting up an (online) business. It's virtually impossible to quit without getting into a lot of debt. It's sensible to keep a steady income while setting up a creative business; none of us know whether our creative talents can produce enough money in its early use to keep us out of debt. I kept a day job for years before I quit, I built up a large sum of savings and made sure my business was financial viable and bringing in enough income to pay me a wage and keep the business running. If I had just quit instead of waiting until the business was ready, I would be in debt and definitely not living the life I live now. I loathe those "follow your dreams" quotes. Follow your goals and ambitions, but never follow hazy dreams. This is me all over. I'm having to find that balance currently, but I'll get there as I'm putting in the much needed hard work. I know I'd be silly just to quit before I had stability, especially in the current economic climate of this country. 7.have you been scammed befor by some one and you want to get your money back.